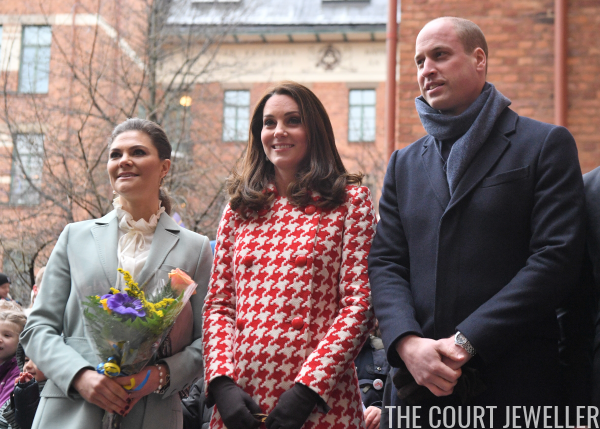 The Duke and Duchess of Cambridge continued their Scandinavian tour today with another day of events in Stockholm, where they were hosted by Crown Princess Victoria and Prince Daniel of Sweden. The Swedes accompanied the Brits to the Karolinska Institute, where they discussed the Swedish approach to managing mental health challenges. 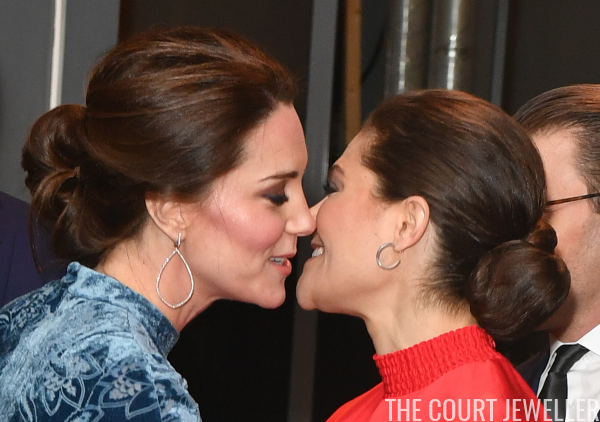 The Cambridges have made mental health awareness a central plank of their charity platform in recent years. 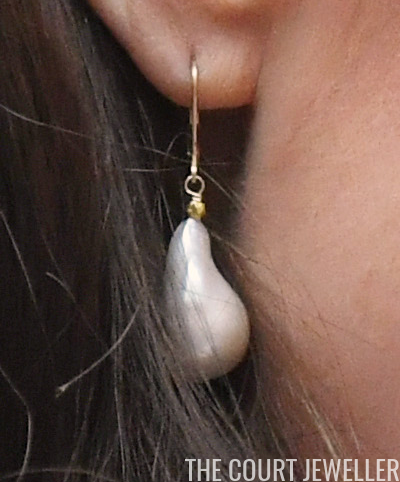 Victoria wore earrings by Marianne Dulong. The pair consists of oblong golden hoops, studded with diamonds, with round pearl pendants. Victoria also wore a stack of bracelets on her left wrist, including a lovely pearl bracelet. And one more view, with the dress Kate wore under her houndstooth coat. 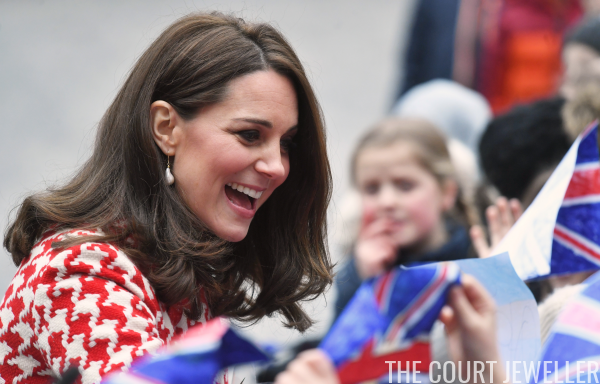 For a cultural reception held this evening at the Fotografiska Gallery, Kate debuted another new pair of earrings. 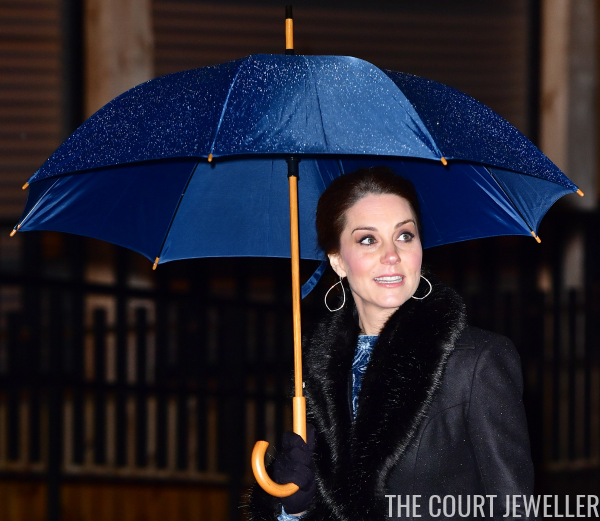 These diamond encrusted earrings and Kate's trio of rings were her only accessories for the evening. 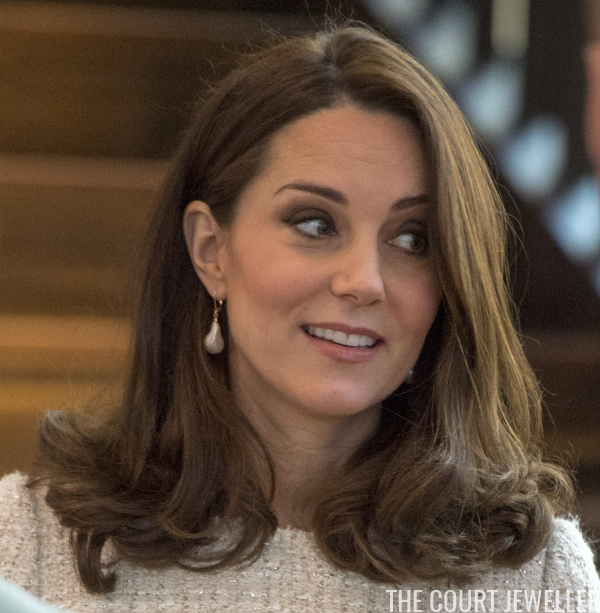 What Kate Wore suggests that they are the Aspen earrings are by one of Kate's favorite jewelry firms, Robinson Pelham. Crown Princess Victoria wore silver-toned hoops with her dress for the evening. 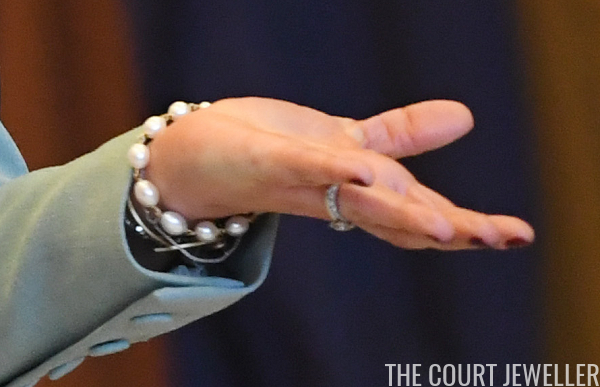 She also wore bracelets on both wrists, including these delicate pieces on her left.